Leonardo DiCaprio, Naomi Watts, Judi Dench, Armie Hammer, Josh Lucas and Ken Howard will all be seen in Clint Eastwood’s upcoming flick, J. Edgar. 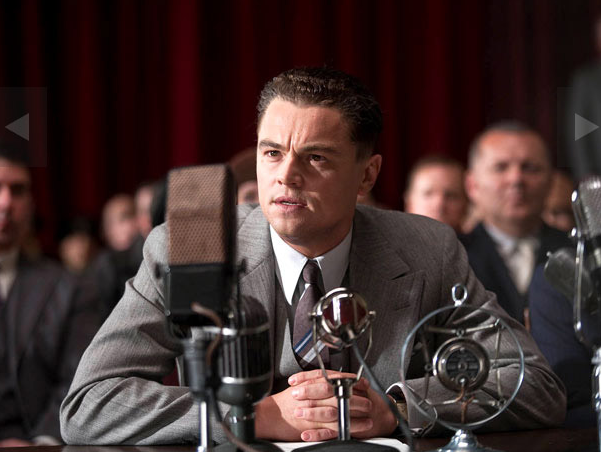 Entertainment Weekly has uncovered the first look at DiCaprio as J. Edgar Hoover. J. Edgar explores the public and private life of one of the most powerful, controversial and enigmatic figures of the 20th century. As the face of law enforcement in America for almost fifty years, J. Edgar Hoover was feared and admired, reviled and revered. But behind closed doors, he held secrets that would have destroyed his image, his career and his life. This one arrives on November 11th…. I will so be there.